He showed up late to the market, but he's right no time. The men's grooming market is white hot these days. The industry has discovered that men do indeed buy products and every company that sells shampoo now seems to have a men's line. While it doesn't surprise me that Paul Mitchell has introduced a men's grooming line, it does come as a surprise that it took them so long. I'm glad they did wait a bit -- it seems they've taken a bit more time to put together a product line that is effective and concise. I really love this line and I hope the Paul Mitchell folks don't let Mitch become bloated and confusing as Redken and American Crew have done with their lines. For this part of the line, Mitch keeps it VERY simple with just one product that serves as both a shampoo and conditioner. While I'm not usually a big fan of shampoo and conditioner combos, Mitch Double Hitter 2-in-1 Shampoo and Conditioner is pretty good stuff. The product lathers and cleans very well and, unlike some 2-in-1 products, rinses away cleanly without making the hair fill heavy. I've found it gives my hair a nice shine and leaves it looking full. The shampoo has a very clean, fresh scent that I rather enjoyed as well. The Mitch Line contains three products in tubes, each with a different function. Mitch Construction Paste is a flexible, mesh styler. Huh? Basically, that means it's a very sticky cream that offers a medium hold that remains pliable throughout the day. 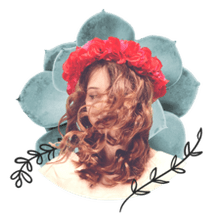 This is a very unique product in that the "webby" texture allows you to create casual, deconstructed styles -- use this product to create definition, texture, and separation in the hair. Mitch Construction Paste gives a flake-free finish that's not crunchy in the hair. I love the masculine, earthy fragrance of this product (which actually reminds me a lot of the fragrance in the Aveda Men Pure-formance line). Mitch Hardwired Spiking Glue is a maximum hold product that really works great for those spiked, extreme styles. Rocking a mohawk? Need spikes that you could stab somebody with? This is the product for you. When you place the product in your hand it looks a lot like that white glue you used in elementary school (and I'm not entirely convinced that it isn't). Apply the product and let it dry and you've got crazy hold. It works in easily, but don't take forever because it does set up quickly. Mitch Steady Grip is a firm hold gel. Admittedly, I'm not a big fan of traditional gel as I like hair that is touchable and moves. That, and there are thousands of gels on the market. There's not much to say about this product except that it's gel. It dries hard and wet looking. This version is alcohol free and won't flake (as you'd expect with a professional product). In my opinion, the stars of the Mitch line are the products in the pucks (little jars that look like hockey pucks). 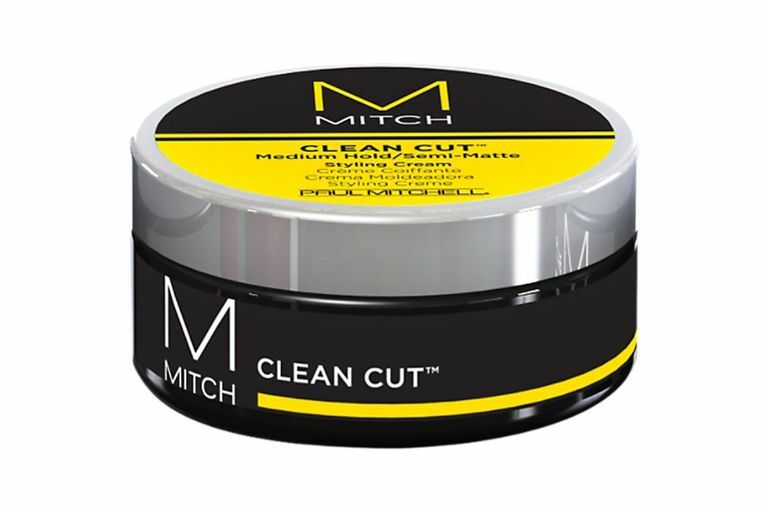 Mitch Clean Cut is a medium hold styling cream with a matte finish. This is one I've been using in my hair (which is fine) as it gives me a clean, polished look without making me look like I've overdone it. As the name implies, this product is best at creating clean-cut, no-fuss looks that look natural. Mitch Reformer is a strong hold putty that has a slightly gritty texture. This product is great for creating those modern, very textured styles where a matte finish is required. I like this product on fine or thin hair as the texture of the stuff really helps give hair a nice structure and support -- if you've got fine hair, a little of this will make it look like it has been working out a bit. Mitch Barber's Classic is a great, water-based pomade for creating those slick, high shine styles. If you're working that Mad Men slick, side-parted style, this is the product to use. I also like this product in curly hair to help hold the curl together and give the hair some weight and control. The product offers a medium hold with a super high shine and it works through the hair (and washes out) very easily. Paul Mitchell decided to jump into the men's grooming market a bit late (although I've used their regular products for years) with Mitch. I think the waiting has paid off as they've created a line of products that has the quality you'd expect from Paul Mitchell. I also like that the line is concise, yet offers enough variety to create any men's style you could want. I would not be opposed to Mitch offering a separate shampoo and conditioner (something, perhaps, with a bit of that Tea Tree kick that Paul Mitchell made famous). Overall, I have to say I love the line and it's fast becoming my "go to" product in my own salon. Good stuff.